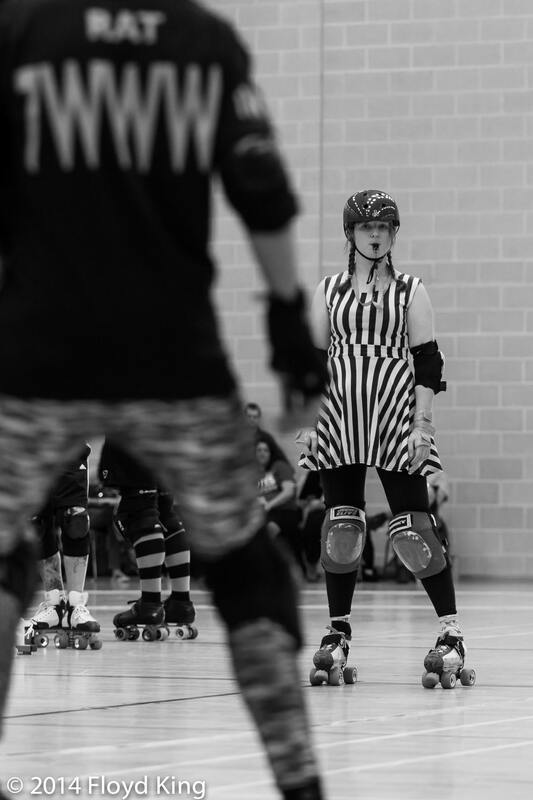 ← Ref vs Ref: It’ll all end in tears… or sweaty hugs. When I opened an email on 23 March saying: “Congratulations!! 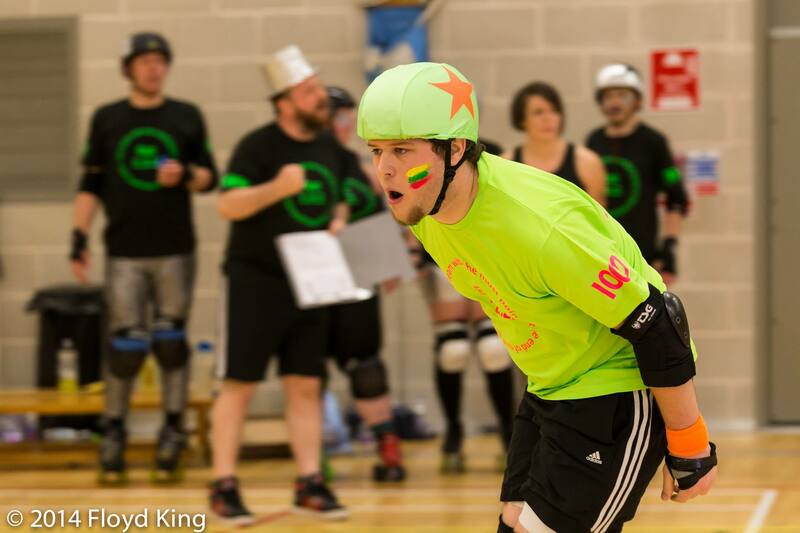 You have been selected to referee at the Blood & Thunder Roller Derby World Cup” I assumed there had been a mistake. I had only applied as a joke to wind up Ratty, and had spent the month running up to the crew emails going out keeping my fingers crossed that Ed would get picked and we could start fundraising to help him make the trip. When we all got in it pretty much blew my mind. On 5 April, Me, Ratty and Metal Ed announced to the world that we had been picked… and the fundraising began. We asked what people would like to see us do to raise money, some said they wanted us to do things that scared us but most people wanted to see Ed do burlesque. Much as we asked him to (and God did we ask him to – repeatedly) he refused to take his clothes off. He also refused to let me cut his hair for money too. Spoil sport. Our fundraising list began in a pub, in which we discussed ways that we could NEARLY DIE but not quite. We came up with walking on fire, Europe’s longest zipwire, zorbing and a suggestion about being launched into sea which made me grimace. We added in things people had suggested: we wash their pads (urgh no), we train their ref crew (yes! ), we have a wet t shirt competition (this was purely aimed at Ed) and we do a ref role reversal game (ah-ma-zing!). And we started setting out to see which ones we could do. We started with some ref training. Crews from around the country messaged us with their situation, I wrote up catered training plans to their needs and then we drove to them to give face-to-face training, ref scrims, test them and give them feedback and encouragement. First up was Wiltshire, then Leicester, then Cambridge then Nottingham and Wales. Met some absolute stars, got to have real in depth chats about fears, initiators, rules and progressing through the ranks. We also ate lots of meals at service stations and I nearly killed us by falling asleep at the wheel once. (Sorry mum). Then we decided to walk on water. 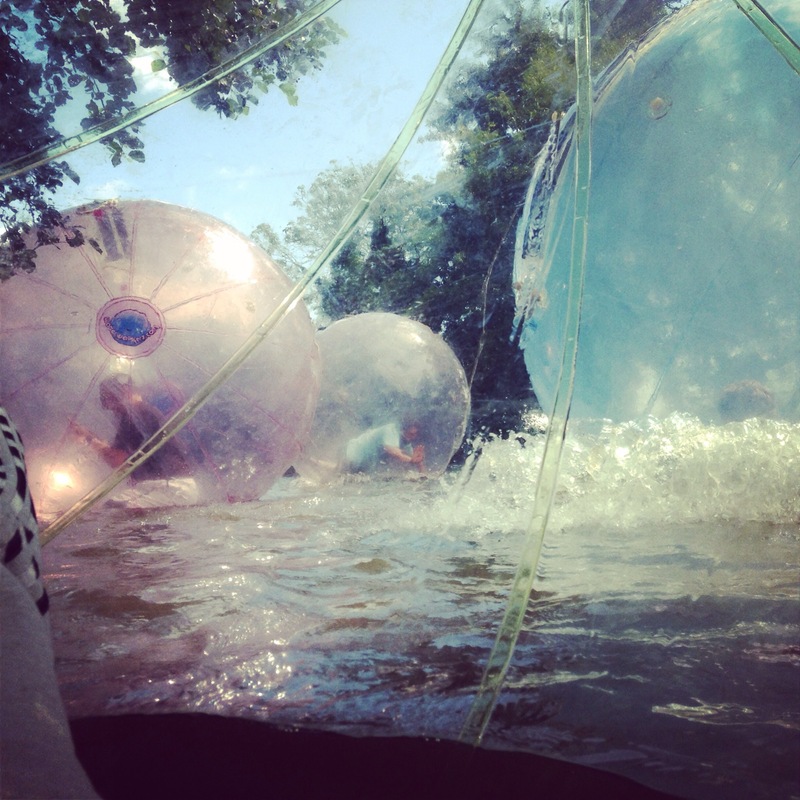 Ok, it was in a zorb, but still. It wasn’t anywhere near as easy as I expected. Trav and stubble joined us, we climbed into giant inflatable bubbles and then ran around on what was basically a large pond, attached to strings so that we didn’t drift too far away. I ran aground several times, we all ran out of air at the end and one person suffered an over-extended thumb *cough* stubble *cough* but the entire thing was actually quite pleasant. MORE DANGER NEXT TIME we decided. 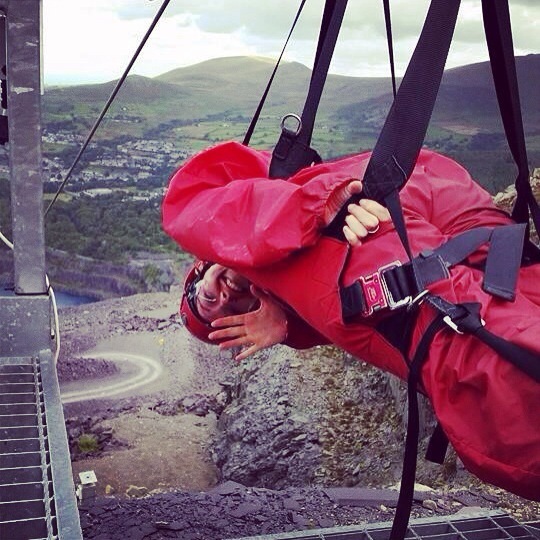 So we opted for Europe’s longest zip wire. MY ULTIMATE FEAR. Skew, Anton and Trav joined us. The wire was a mile long and they said you can hit 80mph on average. I HIT 92. My mum and dad came because I was certain I would die and I wanted to tell them I loved them before I did. Didn’t die. Raised some funds. I still feel sick thinking about this. LESS DANGER NEXT TIME we decided. Next up was the referee role reversal. 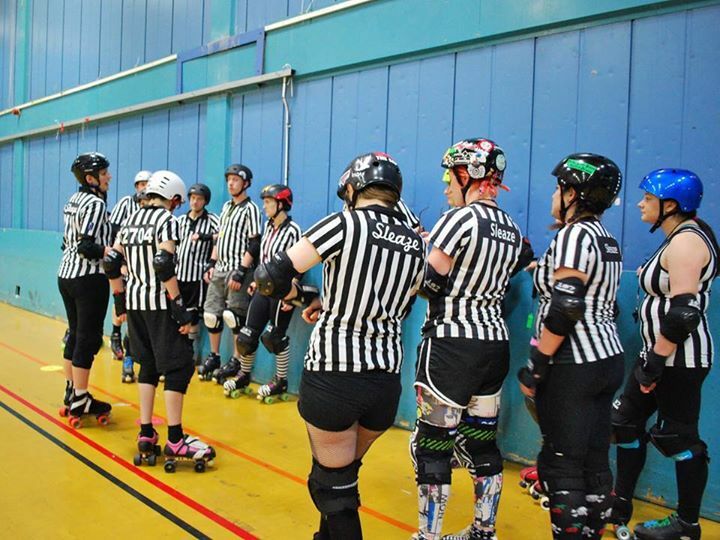 Organised by CCR’s Boots Manuva, the event involved refs from across Europe taking to the track and skaters paying to don stripes and ref them. I opted out because I’m not insane. I did however make the incredible art work for the FB event. So I think that counts. Oh and I bench managed Team 2.2.2. 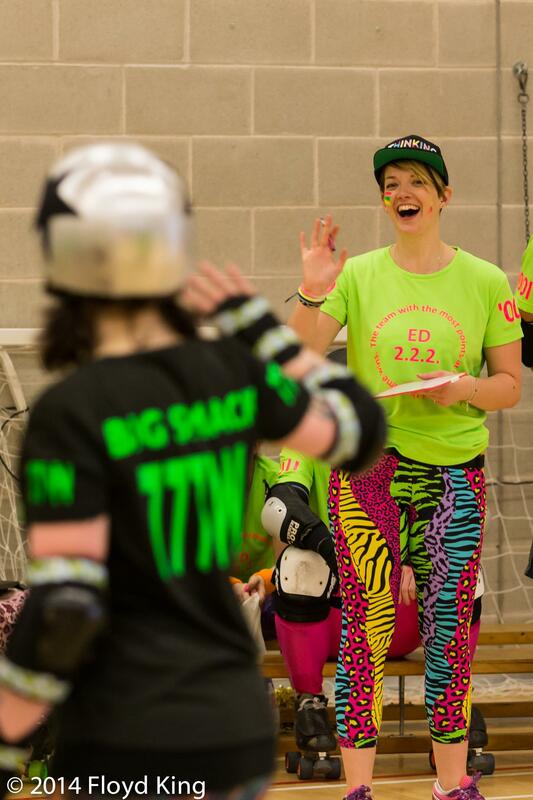 Spectators could suggest rules to be added to the game, and three of these were adapted to the WFTDA rules for each half. My favourite? Jazz hands needed to get lead. 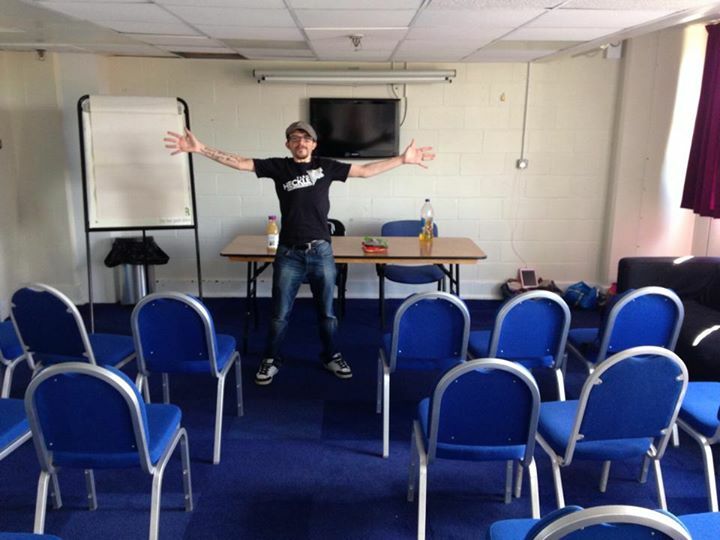 Never before have I heard so many people shout to the Dad of all refs (LRG’s Duncan Disorderly) “JAZZ HANDS DUNCAN”. Priceless. Oh and the outfits were a thing to behold, if you missed it, check out the pictures here. We had one concussion (Sorry Skew!) and Duncan’s arm fell off again. Looking at it you wouldn’t believe that it raised over £650 for us would you? Crackers fun. That’s ENOUGH DANGER FOR NOW we decided. Coming full circle, we decided to finish how we began. Seven months of fundraising fun later and we headed to Plymouth for the final bit of referee training. A sad moment until we met that daft lot and had a barrel of laughs with them. They tried the hellahard test, then we taught them some tricks of the trade and refereed their session. Lovely finish to what has been a whirlwind year. And here we are. Just under a month before the World Cup. Twenty-five days before we catch our flights and head off into the sunset. And OH MY GOD are we ready. Thank you to everyone who contributed to our fund altogether we have raised over £2,500 – you guys are amazing. That money goes towards our travel and accommodation while we are there. We can’t thank you enough for being so bloody generous. And thank you to everyone helped us and supported us whether emotionally or physically as we got ourselves ready for the biggest game of our lives. We will not let you down. You can still donate via this link to help get our officials to Dallas for the World Cup in December. Photo’s Courtesy of Floyd King Photography or Sleaze’s own. 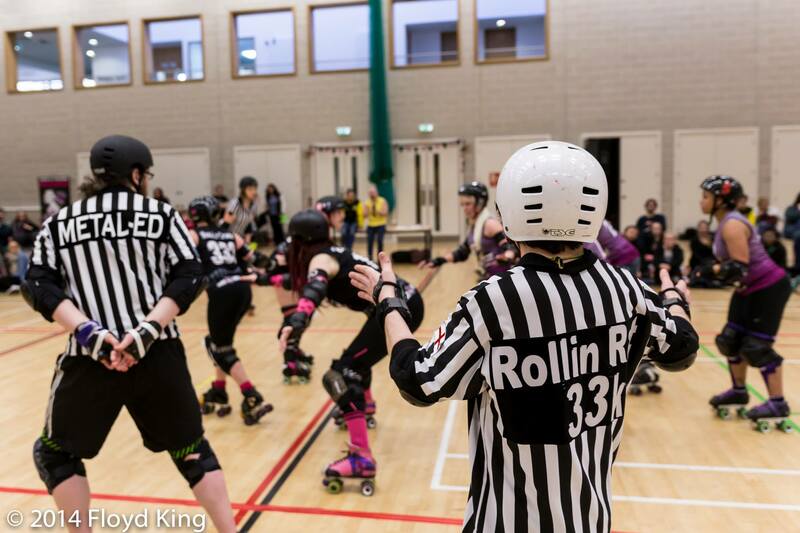 You can catch some of our officials in action at home in CCR’s upcoming match up against Kallio Rolling Rainbow on November 22nd. More details on the Facebook event here.